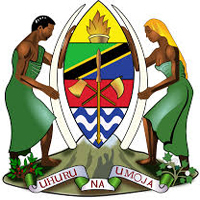 Home / JOB VACANCY / EMPLOYMENT OPPORTUNITIES AT RUANGWA DISTRICT COUNCIL IN LINDI REGION. EMPLOYMENT OPPORTUNITIES AT RUANGWA DISTRICT COUNCIL IN LINDI REGION. Ruangwa District Council was established in the year 1995, during the secind phase government under President Ali Hassan Mwinyi. In 1999, the district was officially launched by the third phase government president Benjamin William MKapa. Ruangwa is among the districts in Lindi Regions, located some 150 KM from Lindi town. it has 90 villages, 22 wards and 150 neirbhourhoods. As per the 2002 Census, Ruangwa has a population of 131, 180 - Male: 63,265 and Females 667,815. To provide high quality social economic services to the community through efficient and effective use of resources and good governance for improving living standard. Is to have sustainable economy, better social services and good governance for improved community livelihood.